The “Manga Kingdom” of Kochi! All across Japan, about 1,500 high school students are making their pens fly across the page in order to qualify for the national Manga competition. They try to describe something with picture and words based on a theme. Some students draw a girl who is going home, the other students draw an apartment. They have a same theme, but their Manga are completely different. Japanese comic books, known as “Manga”, are an important part of Japanese culture, especially in Kochi. The Manga competition is held in August every year in Kochi since 1992, and it still catches a great deal of attention. In 2016, 319 high schools tried to enter the Manga competition, but judges choose only 31 high schools for the final selection of the competition. As a result, the Manga club in Kochi Minami high school got the special prize in this competition. Keiichi Makino who is the president of the board of examiners spoke about the 25th anniversary of Manga competition. Many high schools in Kochi have Manga clubs where students make Manga. It is common in Kochi, but not all prefectures have high school Manga clubs. There are many famous Manga writers who made manga clubs in Kochi. They brought Manga culture to Kochi, and younger generations continue to follow these traditions. “Manga” means an amusing picture. Its origins lie in the 12th century, Choujuugiga which has been designated as a National Treasure. After Manga made its appearance in the historical record, it continued to change its form again and again. In 1814, Hokusai-Manga was made by Hokusai Katsusika. It is said that this Manga influence European arts. At first, Manga was not familiar with the common people, but in 1862, people started to publish Manga magazines called Japan Punch. This movement is the beginning of Manga’s real popularity. In 1930s, Manga became its even more popular in Japan and Manga magazines began to sell like hot cakes. Since then, popularity has continued in japan and spread through the world. Kochi has had many famous Manga writers, especially, Ryuichi Yokoyama. He formed new Manga faction group for making Manga with newcomer in 1932. His 4 Koma Manga Edokko Ken-chan appear in the newspaper Tokyo Asahi Shinbun in 1936. 4 Koma Manga is a four-scene comic. It is very short Manga but we can understand its funny stories. The character of this manga Fuku-chan gained popularity, and became the main character. Later, the newspaper Mainichi Shinbun began running Fuku-chan. His effort was being more appreciated in Japan, he became the first manga artist who has got the official recognition of the field of culture in 1994. There are a lot of Ryuichi’s works in Manga-kan that was built in Cul-Port in Kochi. When Ryuichi got the prize, Kochi people started movement to make memorial museum. After that, the mayor of Kochi decided in 2002 to make Manga-kan. In most museums, visitors can’t touch the works, take pictures, or talk with others, but they can do in the manga-kan. This is because Ryuichi wanted visitors to enjoy his museum with someone, so there are many tricks for making fun. In the middle way of the museum, we can see the house that the same as it was long ago. Elderly people may remember their sweet old home. In the opposite side, there are a scribbling section for children. That is why Manga-kan is loved by many people. The Newspaper Kochi Shimbun has run articles about Manga for a long time. There are some features that readers can contribute own Manga. Sometimes professional writers make some articles. Kochi newspaper publishing company has hosted round-table talks, and some exhibition in the past. For local students, the Manga competition was a chance to connect with more students like themselves. It’s nice to heard that MANGA makes people connected. I hope I could have a chance to visit Manka-kan, and feel the great culture of Japan. I didn’t know that Kochi is the Manga Kingdom. I would like to read some comics students wrote. I learned how Manga is interesting. Great article!! I didn’t know that Kochi is Manga Kingdom. 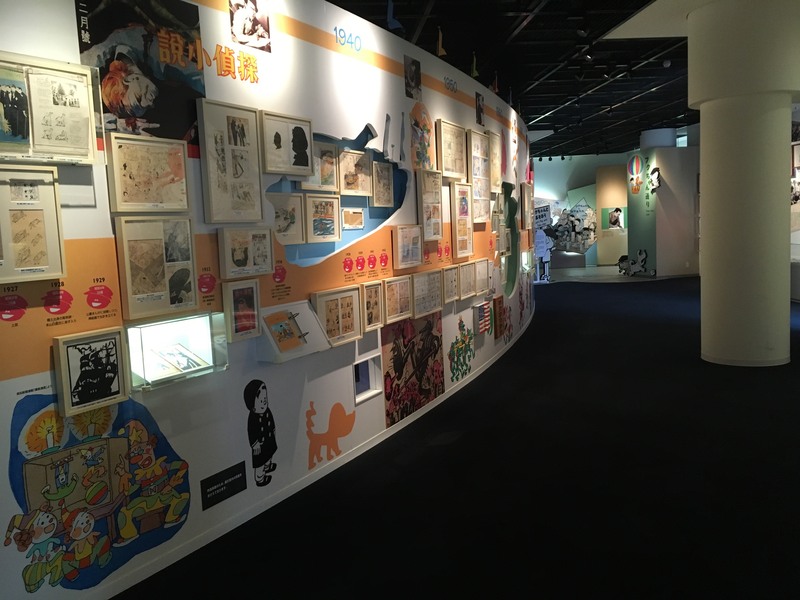 I want to go to Yokoyama Memorial Manga Museum someday. Sounds interesting, and manga is now considered as a Japanese culture, so it’s great to know about it and keep running our own culture. I was very surprised that Manga has a long history. I really want to go to Manga-Kan. I heard about manga competition and manga kingdom first time. Many people like manga, but maybe many people don’t know about manga competition. Good article. It teaches me how important manga is. I think manga is just manga, but I was surprised that manga influenced a lot of pictures in foreign country. It is fun! I didn’t know that manga was such famous in Kochi! It was interesting to know a new thing about Kochi. I could know about history of manga and features in Managakan. I want to visit there and enjoy touching and reading manga!